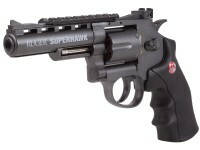 Blast your targets one chamber at a time with the Ruger Superhawk! This rock-solid BB revolver is built to thrill backyard can plinkers and Ruger fans alike with its shoot-out-of-the-box open sights and a long optics 3.5” Weaver/Picatinny optics rail. These flexible optics have a lot to offer plinkers who want to mount up a red-dot sight for fast paced shooting sessions. Fueled by a 12-gram CO2 cartridge the Superhawk slings your BBs at speeds up to 390 fps. 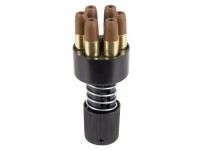 To get started, load up a CO2, swing out the 6rd cylinder, load up, and pull your trigger in single or double action. 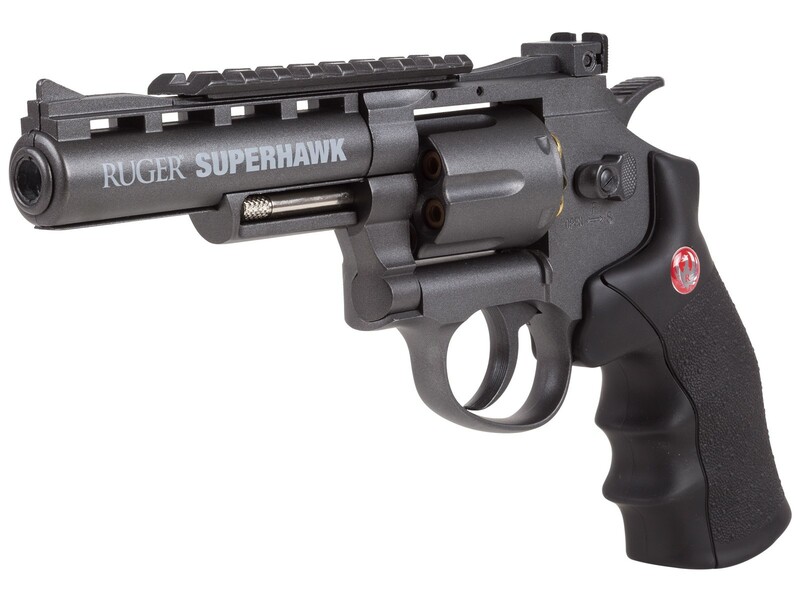 Each Superhawk features a metal body set into a highly ergonomic synthetic grip that’s emblazoned with Ruger’s red phoenix logo. 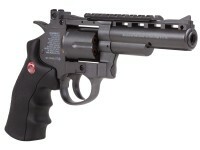 Every revolver includes a speedloader to let you see how fast you can get back into firing position. 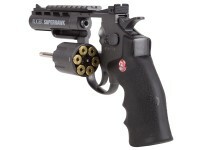 All of these aspects combine into a competitively priced BB revolver with a balanced feel and realistic features. 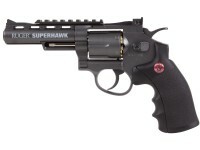 If you're ready to drop cans and shred paper targets in style, pick up the Superhawk! 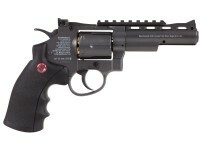 Things I liked: Umarex does it again with a true repro of the Ruger Superhawk. The feel and the weight of this pistol feels like the real thing. I put it next to my Real Ruger Superhawk and its hard to tell them apart. For the money, this is winner. 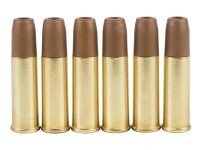 Things I would have changed: 1) Sell it with the pellet shells too! 2) It needs a picatinny rail on bottom. I made one from only half of the top rail. BTW the grove is 3/8 the picatinny rail sets on. I mounted a laser under the barrel for shooting rats. 3) I wanted to change the sight out then found the front sight is part of the ring that covers end of the barrel,not good. 4) The grey front sight needs to be painted white or yellow. What others should know: Nothing cooler than hunting well with a revolver. Any way to put a moderator on this loud pistol? Killed just 17 rats at less than 20 yards this this air gun. Things I liked: Vey well made. Can you remove the top rail from this air gun?